Do you like insulting Kalamazoo? I do not mind if you insult my page or my ideals but you went too far when you dissed the 'Zoo. I love this city and most the people here. You had to insult this city by calling it "hick". That is the worst insult on earth. You were just scared of the new revolution that will put you out of your country "music" writing job. You were so scared that you failed to put your E-Mail address when you signed the guestbook. 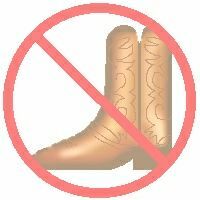 If you like country "music" then why come here? Further more, why did you take the time to sign my guestbook to tell me that I'm wrong and you're right? If I don't like the ideals, writings or subject of a page then I push that tidy little back button my browser. Then everything is inverted. The author of the page had to have been very motivated to want to take the time to write the material, design the graphics and write the HTML. Your comment will not push me to the dark side of music. Thank you.